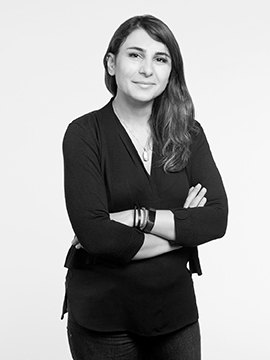 Niloufar Emami, PhD, LEED GA, is an assistant professor of architecture at Louisiana State University. She is a researcher, educator, and designer looking for gaps, intersections, and overlaps between architecture and multiple disciplines using computational tools and fabrication techniques to provide creative yet performative solutions. Niloufar holds a PhD in Architecture with a major in building technology from the University of Michigan, a post-professional Master of Science in Architecture from the University of Michigan, a Master of Architecture from Iran University of Science and Technology, and a Bachelor of Architecture. Niloufar is a designer at various scales: she designs research, computational workflows, curriculum plans, products, and buildings. Followed by several years of practice as an architect, she has conducted research in both academia and industry: the University of Michigan and Autodesk Company respectively. She is also an experienced teacher, having held multiple teaching positions including a lecturer, graduate student instructor, teacher fellow, and adjunct faculty member, at multiple institutions including Azad University of Damavand in Iran, the University of Michigan, and Kendall College of Arts and Design at Ferris State University. On top of gaining practical teaching experience, she has developed formal training in teaching, through completing trainings on diversity and inclusive teaching in classrooms, as well as completing the U-M Graduate Teaching certificate offered by the Center for Research on Learning and Teaching (CRLT) at the University of Michigan. Niloufar is the recipient of numerous awards, namely the first runner-up award in DIVA Day competition, Barbour Scholarship and the Helen Wu Award, among other honors.